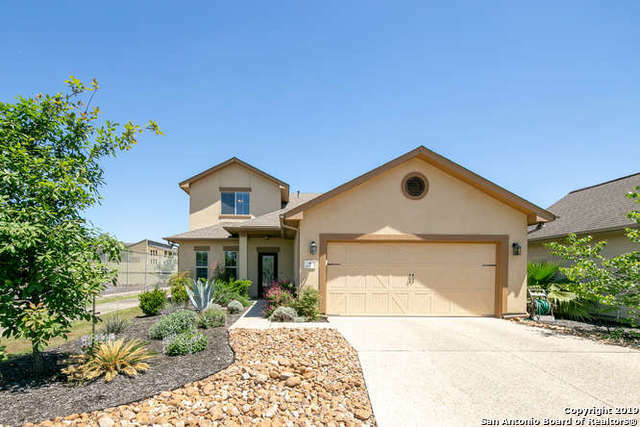 All STAFFORD HEIGHTS SOUTH homes currently listed for sale in San Antonio as of 04/18/2019 are shown below. You can change the search criteria at any time by pressing the 'Change Search' button below. "Beautiful 2014 built David Weekley home on the 9th green @ Northern Hills GC. Gated community. This 3 bed/2.5 bath home features a 10x13 kitchen w/SS appliances, granite counters, breakfast bar & is open to the 19x20 two story Family Room w/FP & covered patio area in back. L/R D/R combo is an elegant, open floorplan. Master bed/bath is on the main floor & has outside access. Large bedrooms upstairs. Back bedroom opens to a sep. covered patio area. Ready to move in shape - take a look at this ho"
"This beautiful and well maintained home is in a small, gated neighborhood with views of the park/pond across the street and a short walk (or golf cart drive!) to Northern Hills Golf Course. This home is move-in ready and setup for an easy, fun-filled lifestyle. Upgrades include tile roof, 4 sides stucco, fixtures, garage for golf cart, granite countertops, lots of 42 cabinets, huge pantry, and a massive master closet. Three living areas, an open plan, and large deck make this home ideal for ente"